More than 300 wood species available in different specifications. We are one of the leading veneer producers in Europe (www.jffurnir.com). We distribute more than 20 million m² of veneers annually to our customers throughout the world. 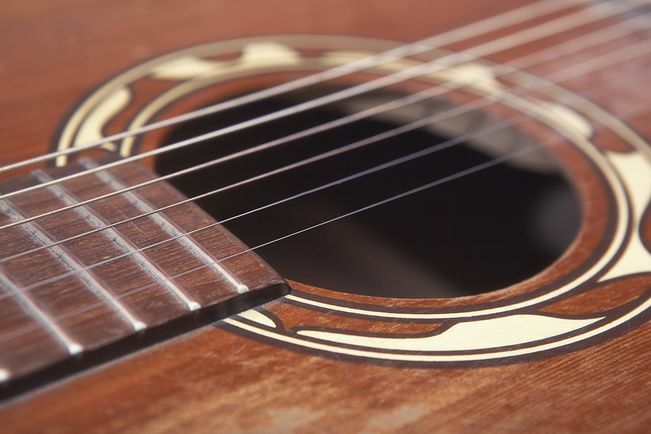 Veneer is wood in its most attractive form, and occasionally the most precious item that can be produced from this material. 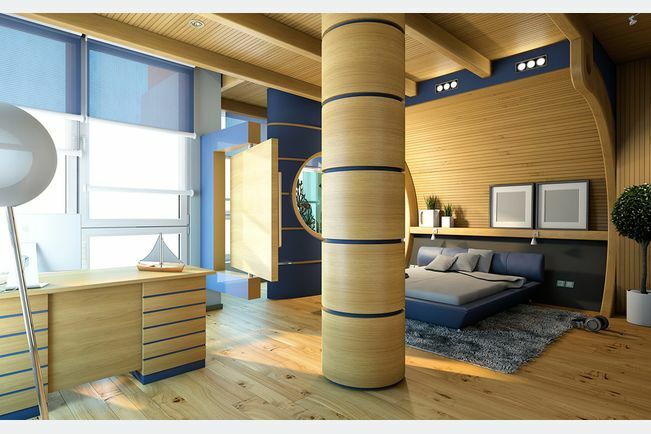 Every tree has its own characteristic features and every wood grain tells an interesting story. 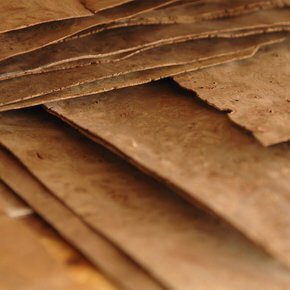 And this means that in every veneer you can also see its natural origin. Just as no two fingerprints are the same in the entire world, so too is no sheet of veneer identical with another. 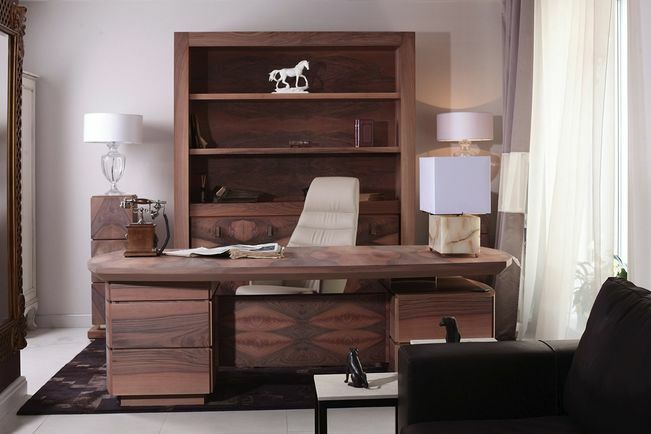 Furniture, jewelery, books – for years we have been able to order anything on the Internet. At the JAF Group with its headquarters in Stockerau, this applies to veneers too. 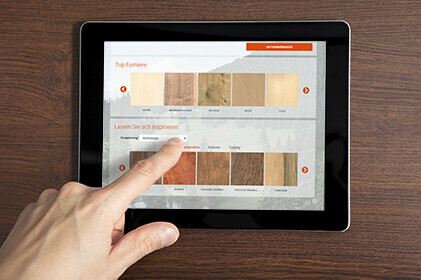 Instead of having to travel for kilometres to the retailer, the warehouse comes to the customer: everyone who works with veneers – such as carpenters and architects – can inspect the entire range on-screen and then order entire logs or individual bundles directly online – worldwide at the click of a mouse, 24 hours a day. 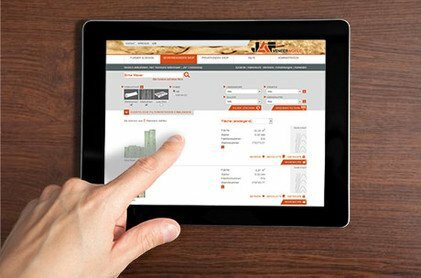 JAF’s webshop is a minor revolution: at www.veneer-world.com 12 million square metres of veneer, 190 types of wood and around 1.2 million veneer surfaces can be expertly assessed. Every front and rear surface is shown in high resolution images. In a matter of just seconds you can scan through all the pictures by setting various filters: for example the origin, type of wood, colour or length. A summary of the results will be shown according to your search criteria. A magnifying glass function provides an in-depth view and shows the individuality of the veneers in detail. In this way the precise structure of every individual composite can be identified and assessed. This means we can guarantee that there will be no surprises on delivery. 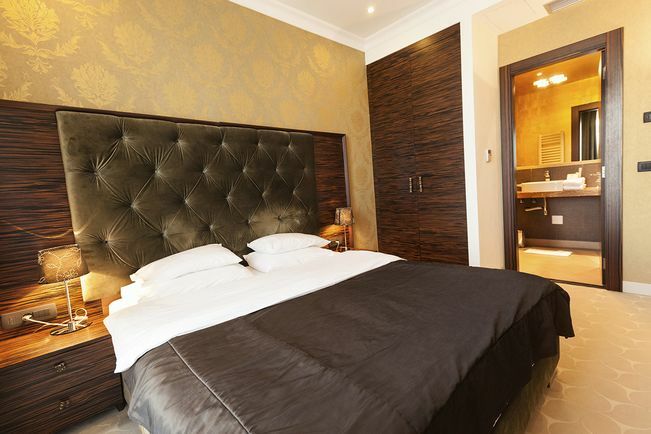 Then within a short time our customers receive their quotation and price information. Wherever you are, the world of veneers is there with you: putting in the kilometres on the road, e-mails with large image files and long download times a thing of the past – which means enormous time savings. 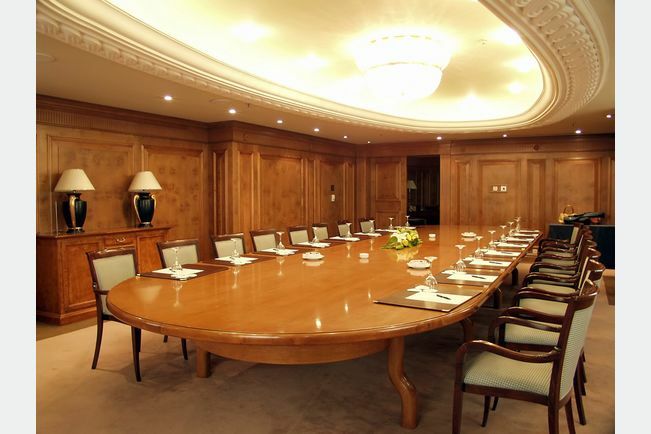 As well as a simple way of ordering veneers, we have also created a unique presentation medium for carpenters and architects, who can for instance immerse themselves in the digital world of veneers over an evening appointment with the future furniture owners and select the desired surface. In the private customer shop, access is free. Here you can buy smaller quantities, and obtain your veneer sheet by sheet. Payment is simple and uncomplicated by credit card, and you will receive your order by delivery service. Trade customers can obtain an access code by e-mailing service@veneer-world.com. Accounts can also be activated by a JAF adviser. 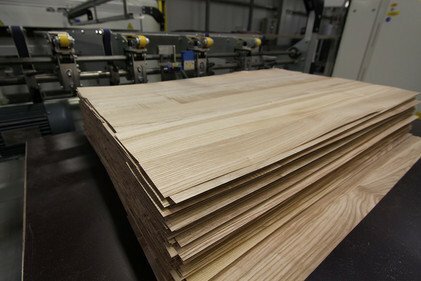 The veneer’s journey to the digital web shop starts in Romania, or to be more precise in Braşov, the Eldorado for European hard and soft wood. 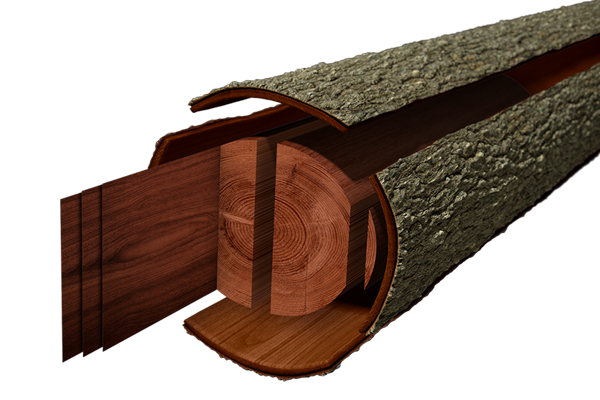 Here the JAF Group has operated a sawmill and veneer mill of its own since 2007 under the name J.F.FURNIR. 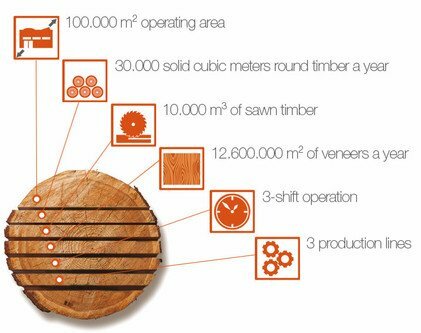 In the 10,000 m² timber warehouse, precious round timber of almost every type and quality of wood is stacked – mainly from Europe, but also from Africa, Asia, North and South America. Around 30,000 solid cubic metres of wood are processed here every year for specific customer orders. State-of-the-art systems engineering can be found here in all areas: the first stage of all production processes in the plant is the use of the high performance Bongioanni band saw (“1600”). In the ultra-modern thermal chamber the sawn timber is modified at high temperatures and at the same time the oxygen content is reduced – thus making it durable for outdoor use in all weathers. The excellent location of the plant in Transylvania with its wealth of forests is an absolute plus point. But the qualification level of the around 350 employees speaks for itself too: Braşov is also home to Transilvania University with its specialist courses in wood technology and wood design – a good basis for being able to guarantee a consistently high quality of products and services.